Now Miss apenny, that is the dinest ramp in the land!! You realize you are adored, right?? Completely and totally adored! Love the ramps! I see Penny has a brother or sister too? Keep healing Penny rest is best please eat some wet food for mom ok! Love the ramps. 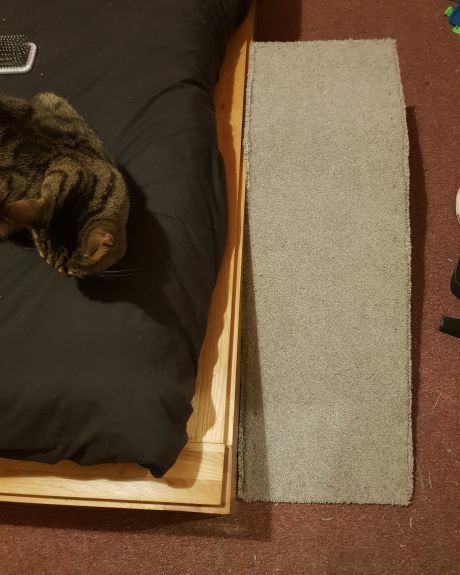 Our guy (rear amputee) uses pet stairs to get on bed and couches. LOVE this! Good job folks, you are pawesome pet parents and spectaular Tripawds ones too!